NOTE: Knife is not included. Closeout/Clearance item. 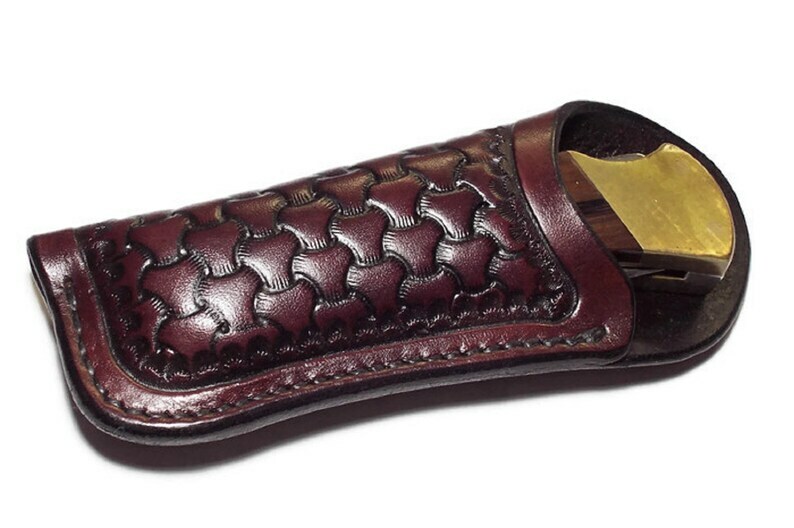 This is a custom designed leather sheath for a Buck 112 knife (or like knives) without belt loop. Right handed. Features: Heavy Premium Carving Leather with a hand tooled braided basket weave design, finished edges and recessed hand stitching. Mahogany color. One In stock and ready to ship. Stitching is guaranteed for the life of the item. Built to last! Quality made in the USA! Reg price $32.99.